KheerGanga is a serene meadow situated at an altitude of 2960 meters where lord Shiva's elder son Kartikeya is said to have meditated for 3000 years. 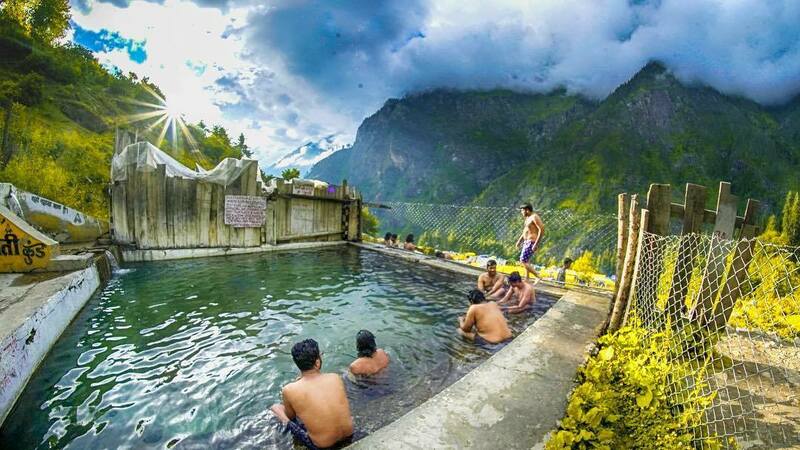 The hot springs at Kheerganga are extremely important for Hindu pilgrims as well as many others who believe the waters have sacred healing properties. It takes about 4–5 hours trekking to reach Kheerganga Top which is approx. 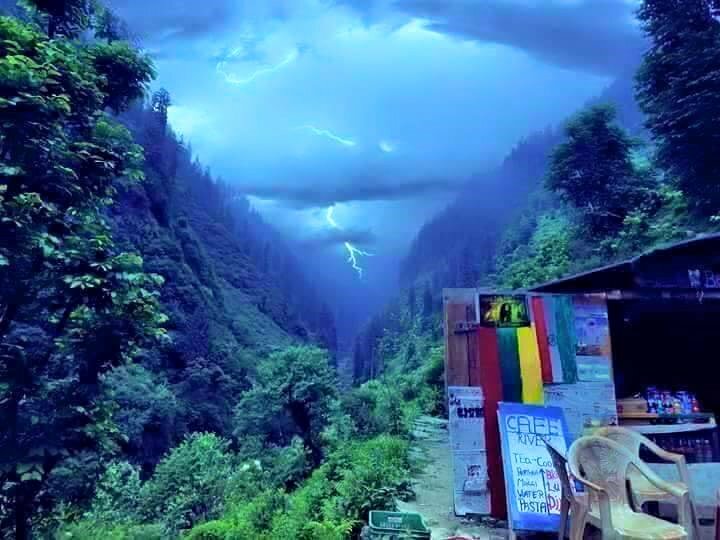 12 km from the starting point near Barshaini, 17 km away from Kasol enroute the famous sikh pilgrimage site Manikaran. It is believed that earlier kheer(a famous sweet dish made up of dry fruits,rice and milk) used to flow instead of water but local people started fighting for it, then later monk Parshurama turned that kheer into water in which today also one can see milkcream and its flake in the water and hence the place got its name Kheerganga.